« *One To Cure Them All? – Is The ECJ Using The Very Same Formula To Answer All Questions Related To Keyword Advertising? As reported by the Inside Google AdWords blog and Search Engine Land, Google will conduct a mayor overhaul of its TM policy. *Firstly it will generally allow its advertisers in the US, Canada the UK and Ireland to use third party TM in the text of their ads. *Secondly it will allow the booking of trademarks in some European countries (including Austria, Germany , the Netherlands and France!) in which TM owners can currently object against the use of their TM. 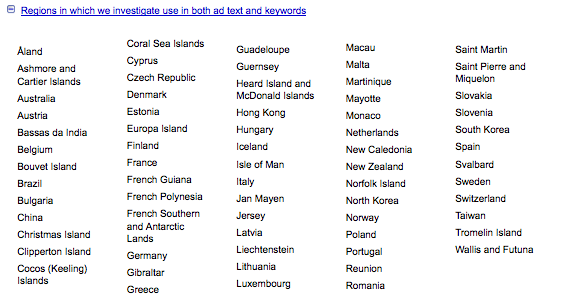 Users in these countries will in the future only be able to object against the use of their TM in the text of the ad. 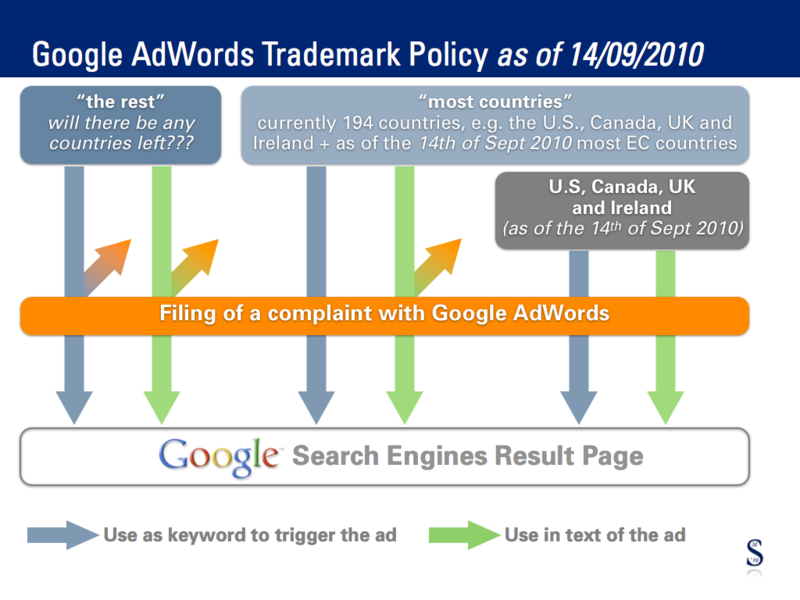 Google will therefore change its AdWords Trademark Policy on the 14th of September. Google AdWords policy defines under which circumstances TM owners can file a trademark complaint against the use of their trademark as a keyword or in the text of a third party ad. There are currently (5th of August 2010) three (3) different levels of protection granted to TM owners in Google AdWords, depending on the country in which the ads should be displayed in. First group / highest level of protection: TM can object against the use of their TM as a keyword. TM owner can object against the use of their TM in the ad text copy. Second group / medium level of protection: TM can NOT object against the use of their TM as a keyword. TM owner can object against the use of their TM in the ad text copy. The third group is a subgroup of the second group, and comprises countries with the lowest level of protection. Currently this group only consists out of one country; the U.S. The first change is a shift from the UK, Ireland and Canada from the second to the third group. As a consequence, TM owners in the US, in Canada, the UK and Ireland will not be able NOT object against the use of their TM as a keyword and they will also (generally, please see above) NOT be able object against the use of their TM in the ad text copy. The second change is a shift from most European countries (also including Austria, Germany and France) from the first to the second group. 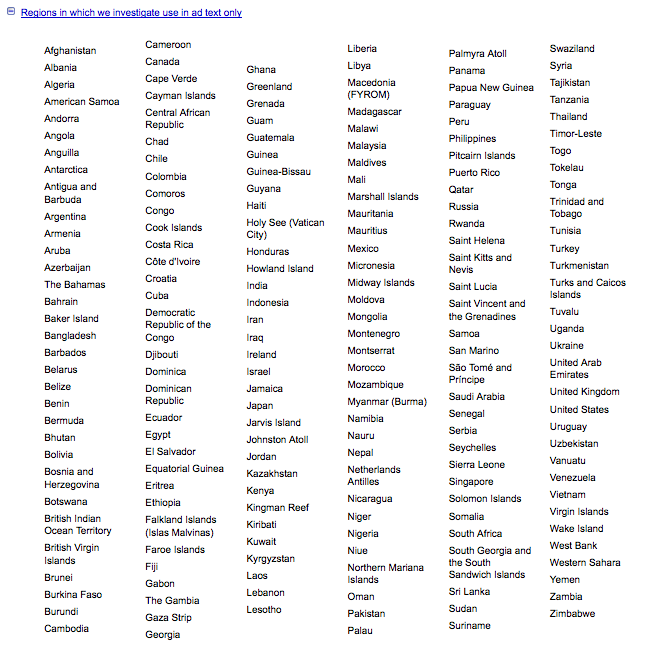 Thus TM owners in these countries will not be able NOT object against the use of their TM as a keyword. This is not the first policy change Google has taken since the ECJ’s decision in Google France. In a recent policy change Google has forbidden its advertiser to imply ‘deceptive affiliations‘ which seems perfects reasonable in the context of the ECJ’s decision (for more information please see my previous posts on that topic). The change ad hand is beyond doubt a very self-confident step forward by Google. UPDATE: As Adam Smith of the WTR has correctly noticed, it looks like Google will in the future only accept trademark complaints from its advertisers. This would mean that TM owners which do not use Google AdWords might not be able to file a complaint! Great explanation. One question – is there a tool for TM owners to discover that their marks are being used as a keyword? I would assume there is something more sophisticated than just typing the TM into Google and seeing who pops up. I’m shocked by the update – giving the right to complain only to advertisers! I wonder, would a $1 advertiser be considered, or does the complainant have to have a larger ad budget?